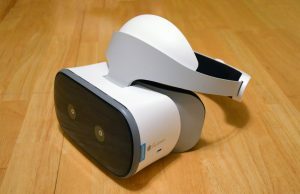 Acer’s Windows VR headset initially became available earlier this summer as a development kit. 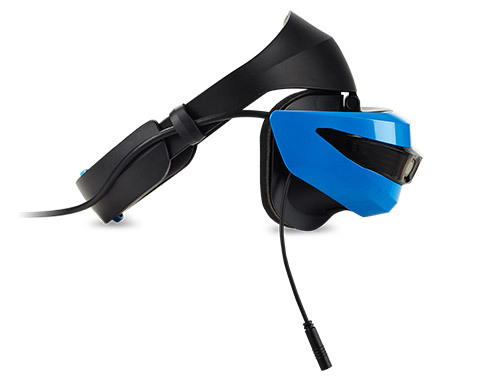 In October the company will launch the consumer version of the headset now with an upgraded head strap. 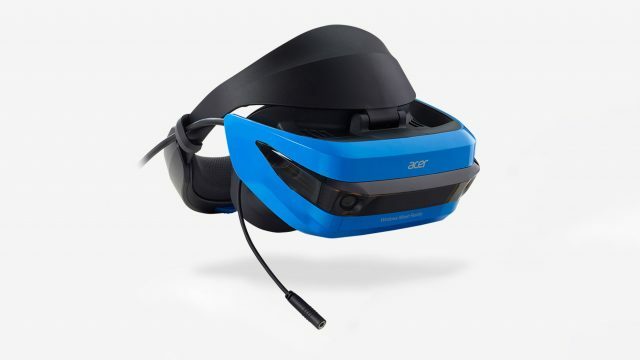 The Acer “Mixed Reality” VR headset is due to launch in October along with the others, and while it was advised that development kit versions wouldn’t be much different than the consumer versions, Acer’s headset looks to be getting a solid improvement to its headstrap. 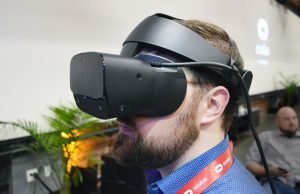 The Acer VR headset dev kit launched with a somewhat flimsy looking ‘buckle’ strap which you’d pull tight around the back of your head to adjust the fit, then squeeze a button to release the tension when you’re ready to remove it. 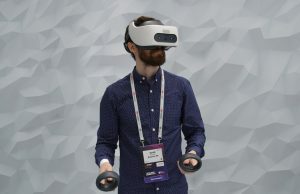 The company’s new product page for the consumer version of the headset shows an upgraded strap which adds padding and changes the fitting mechanism from a buckle to a knob, similar to the other Windows VR headsets. The forehead section of the headstrap also appears more broad and to have slightly thicker padding. 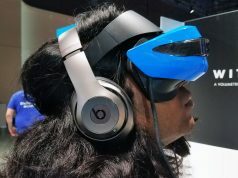 From the photos we can see that a visor hinge remains, making it easy to flip the visor upward for peeking outside of the headset without removing it. The rear size of the improved strap also suggests there’s some additional weighting back there to better balance the headset. 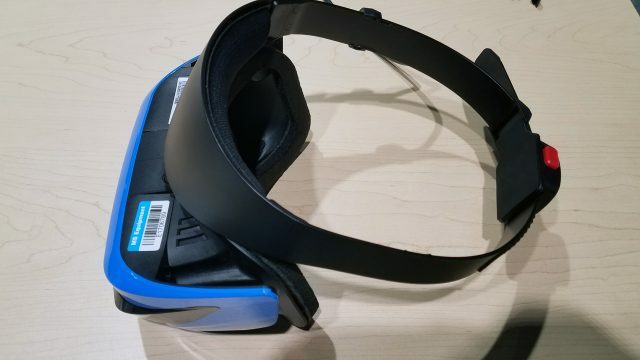 Though the upgraded strap looks to be a welcomed improvement to comfort and usability, it’s a shame that none of the Windows VR headsets are offering integrated audio, which means users will need to don a third-party pair of headphones or earbuds if they want immersive audio, something we’ve found to be sorely missing on any headset lacking it after getting used to the Rift’s built-in headphones. 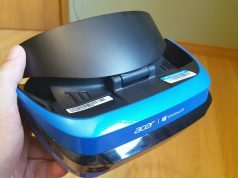 No strap will hide the fact that this Acer mixedAR has the worst specs of the latest bunch of boring HMD. 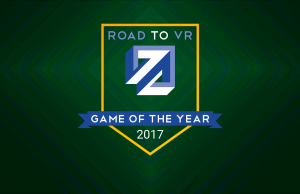 Microsoft has turned VR into a yawn and snooze fest. 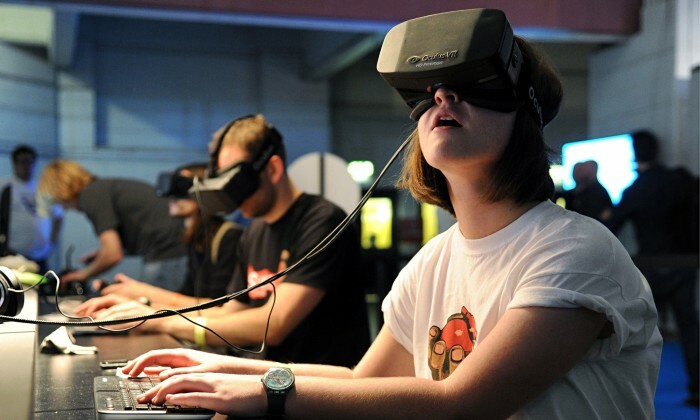 Glad there is Oculus and Vive to get us exited now and for the future. Great opinions with brilliant explanations! 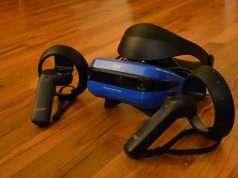 The specs of all the Windows MR headsets are identical if that’s what you were referring to; it’s true these headsets more or less have more issues than Rift or Vive, especially in display quality and optics; but text legibility is noticeably improved from Rift (and thus Vive also) and the inside-out tracking is surprisingly good. 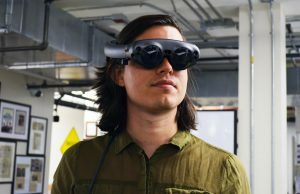 They’ll be a good addition to the market; no one is forcing you to purchase these, but VR is still advancing even from Microsoft’s end with the core inside-out tracking technology taken from HoloLens. What about them interests you? Im just curious. Not making fun. Sure sure. Sort of a collect them all hobby. Thats understandable. Let us know how they are if you get one. i’m not excited by LCD motion blur and 95 deg FOV. 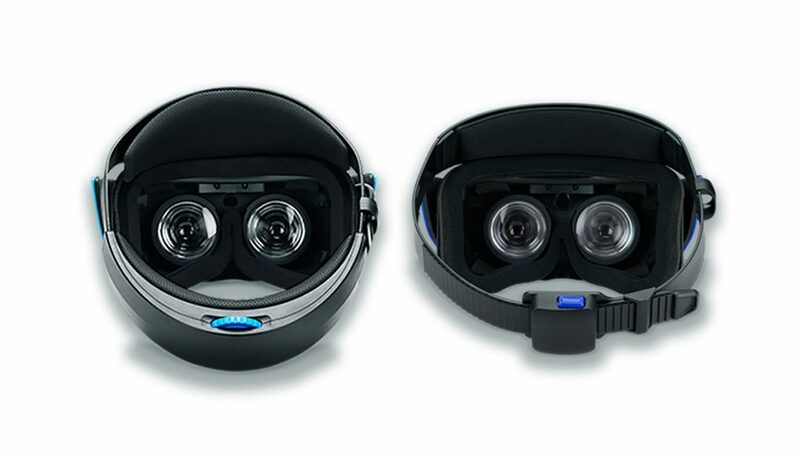 Sure the Res is a bit higher but I’m not throwing money away on HMDs that are less immersive in key areas over what I already have (Rift) and what I’ve already had and sold (DK2, Vive and PSVR). I’ll wait for true gen 2 or the LG one to see what that’s like. 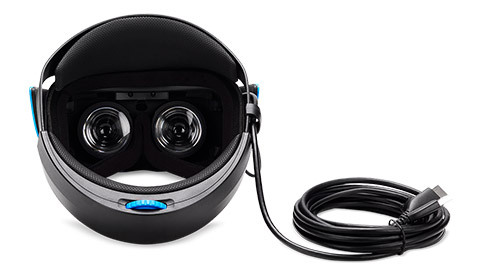 Also the LACK of built in headphones = INSTANT dismissal from me now, knowing what I know and how much I detest putting cans on after (or even in-ears after) I love the Rift’s effortless all-in design and these don’t have that = pointless to me, just another DEV KIT like vive dressed up! «Microsoft and it’s friends (Acer, Dell, HP), the underachiever lame ducks, why can’t they make a good product like other companies : Apple, Samsung, Oculus, HTC. 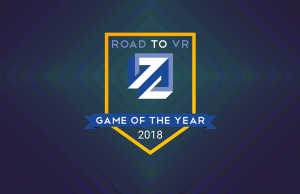 They are too late to the game and bring nothing new, even worst they bring old abandoned technology that are way behind what the others were 2 years ago. And the price is not even remotely competitive at all. 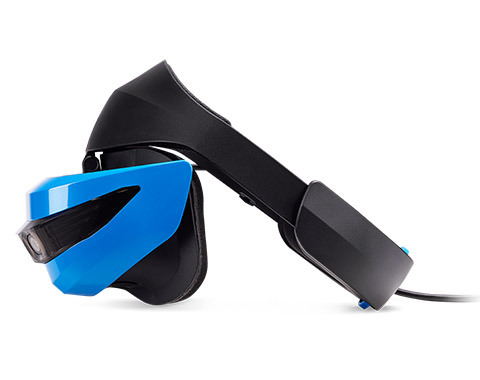 So this is google cardboard for PC. 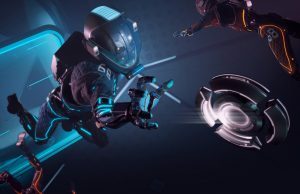 Half of the time I play in VR, my hands are not in front of me. Can you crawl on the floor with that thing? No. What an idiot… my word. Some people should have their keyboards taken away from them for a while. The dude has NO point. He’s just hating and can’t even get his facts straight. Regarding the rest of what you said: I agree. Any FOV reduction is bad, however, in this case we have a trade off, kinda….. text seems to be A LOT more readable and that is also a HUGE plus. Would I trade it for higher FOV? Probably not BUT that remains to be seen. I bet the inside out tracking is surprisingly good for what it is. I mean seriously, it’s basically motion controls without any external tracking equipment. 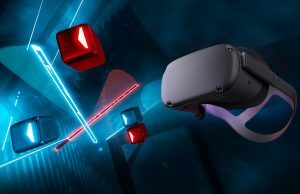 Inside out tracking is the future of consumer level VR easily. Yep, inside out tracking is the future, but not until controllers themselves also have inside out tracking, or some tracking which only requires one simple box somewhere on the side..
MS uses methods to make up for a loss of tracking. Well see how well they work out soon enough. 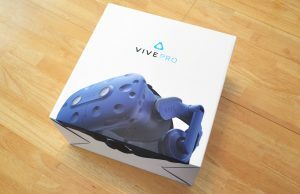 Well… If they’re available to buy in more countries than the Vive and Rift then it will hardly matter. 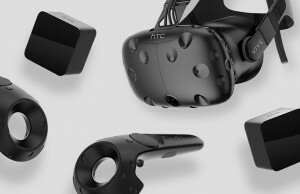 As long as they have full SteamVR support I’ll get one for instance. It will be my only choice. And I’ve waited a loong time. Done waiting. 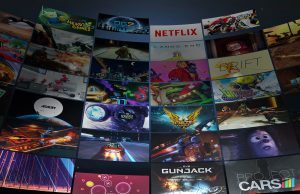 Oculus resolution 1080×1200, Acer resolution 1440 x 1440, which one is better again? 1440×1440 LCD is worth nothing compared to 1080×1200 OLED. It’s like saying old CRT is better than Full HDR 4k tv. Audio seems like one of the easiest additions to make. The rate of the audio data stream is low compared to everything else going through the cables. Low hanging fruit for another competitor to come in and differentiate them self. I had a feeling Acer would catch on after seeing the HP get better reviews for comfort etc. I will still purchase the HP instead of the Acer because of the detachable cable. 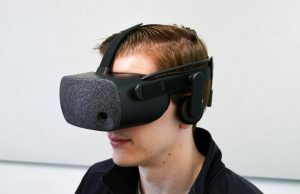 If Acer added a detachable cable, and side mounted earphones similar to the Rift, they would have my money on day one! These MR headsets are junk. 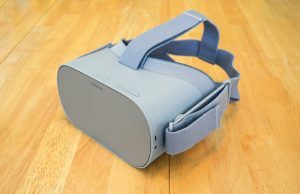 Please review the Pimax 8K 200 FOV. The kickstarter is going live on thursday. 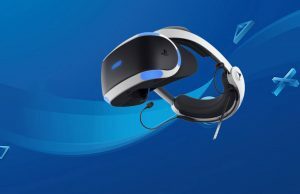 It will be compatible with Valve light houses and controllers! 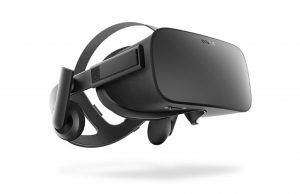 This headset will be at $300, as opposed to that expensive Pimax you are spamming with. The usual case with most kickstarter products is that they are over-promised and under-delivered, making them trash.